This initiative by the SMART Association is the fruit of 10 years work and is supported by the World Forum of Fish Harvesters and Fishworkers in cooperation with internationally renowned specialists. 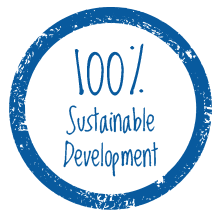 It is the first 100% sustainable development process for fishing. The Artysanal® label is the only collective certification brand whose specifications stipulate environmental, social and economic criteria for artisanal fishing at international level.. Thanks to this approach, Artysanal® enables users to identify products that result from responsible fishing that respects people, the resource and the environment. SMART is an acronym for SMall-scale / ARTisanal. The SMART association was set up in France (Law 1901) aims to support artisanal fisheries around the world by promoting their fish products in supermarkets and restaurants. SMART operates on several continents in the North and the South in order to connect artisanal producers with users who demand excellent products. The World Forum of Fish Harvesters and Fishworkers is an international non-governmental organisation that protects fishers and artisanal coastal fishworkers across several continents. Artysanal® thus undergoes transparent, independent and non-discriminatory certification. That is why Artysanal® is proud to enable you to track your fish’s history at any time. Artysanal® is an independent label supported by the World Forum of Fish Harvesters and Fishworkers and the Daniel & Nina Carasso Foundation.